Christmas is coming - one of the major Christian holidays. This is another reason to please your friends and family with unique gifts. Manufacturer of different watches Swatch offers its gift option. This is a new model Red Knit, resembling a Christmas sweater in red with white deer. Now, thanks to designers of Swatch, the favorite motif sweaters can be worn on the wrist. The dial is decorated with golden red deer, surrounded by snowflakes, which act as hour indexes. The model Red Knit comes on a red bracelet with white deer, snowflakes, snowmen, and hearts. The model is produced in a limited edition - 14,999 items. To buy a watch is available in a big gift box tied with a red and white ribbon. This year, the famous watch company Swatch is celebrating its 30th anniversary. Pop star Mika, who was born in Beirut, also celebrated three decades this year. The singer fully shares the Swatch desire for creative diversity that attracts buyers from all over the world. The famous watch brand Swatch, which is a partner of the 55th Venice Biennale of Contemporary Art, has released two original models, the design of which was developed by contemporary artists. The famous Swiss watchmaker Swatch has developed a new caliber Swatch Sistem 51, which is different from the traditional mechanisms. Recently, the Russian company Bosco and famous brand Swatch have launched new fashion watches, which will be available in November in the shops of Bosco. Despite the fact that summer is over and before the spring is still far, but the world famous watch company Swatch and unique jewelry designer Fred Butler have developed a novelty, thereby preparing for another warm season. 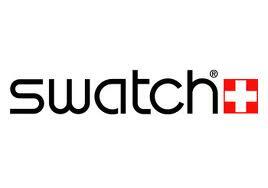 Swiss watchmaker Swatch has expanded the Classic collection with a new universal set Irony, which includes three models - Irony Lady Lady, New Irony Big and Irony Medium. All models are available in stainless steel cases (diameter of a female model - 34 mm, New Irony Big - 43 mm and the Irony Mediums - 35,2 mm). Today the attention of hundreds of millions of people in our world is riveted to the main sports event of every four years - the Olympic Games. It is a good time to present their novelties for the watch manufacturers. New Occupy Your Wrist Watch. 'Occupy' wrists with watches from Swatch! Last week in July 2012 was marked by the presentation of novelties from the Swiss watch company Swatch, has presented new wristwatches with an unusual name - Occupy Your Wrist. Swiss watchmaker Swatch, which develops and manufactures various models of exceptional quality, presents its novelty under the name Little Idiot. The famous company Swatch has introduced a new collection of watches, created in collaboration with world-renowned artist Lorenzo Petrantoni, whose works combine the sensitivity of the graphics and vibrant colors. The watch company Swatch in anticipation of the upcoming spring releases a new colorful collection. These are colorful women's watches Lady Originals with long, binding the wrists of a few rings, straps. The appearance of the gold watches by Swatch, famous first of all with the budget segment, may seem a step in the higher price segment. However, it does not that. The famous festival of lovers is approaching. Do yourself and your sweetheart a nice present. The watch company Swatch is a unique gift collection. The models of Love Collection can be not only a great present, but also the recognition of the feelings. Swiss watchmaker Swatch has released a new model of the wrist watch Full-Blooded Black Skull, designed for "young individuals with a rebellious spirit." The watch company Swatch Group has opened in the historical heart of Shanghai its own hotel. The building was renovated, and on the first floor there are designer shops of watches belonging to Swatch Group brands: Swatch, Blancpain, Breguet, Omega. In October, the Swatch watch company introduced new models in Venice, additions to the collection of Swatch & Art. Venice was chosen as this year, the watch company became a partner of the famous Venice Biennale. The Swatch & Art collection is available at the end of October. It is announced the release of the first digital watch Swatch, equipped with a touch screen. The name of the new watch is Swatch Touch. The new watch does not have the keys - access to all functions performed by the OSD. The additional functions of the watch are timer, stopwatch, calendar and alarm clock.